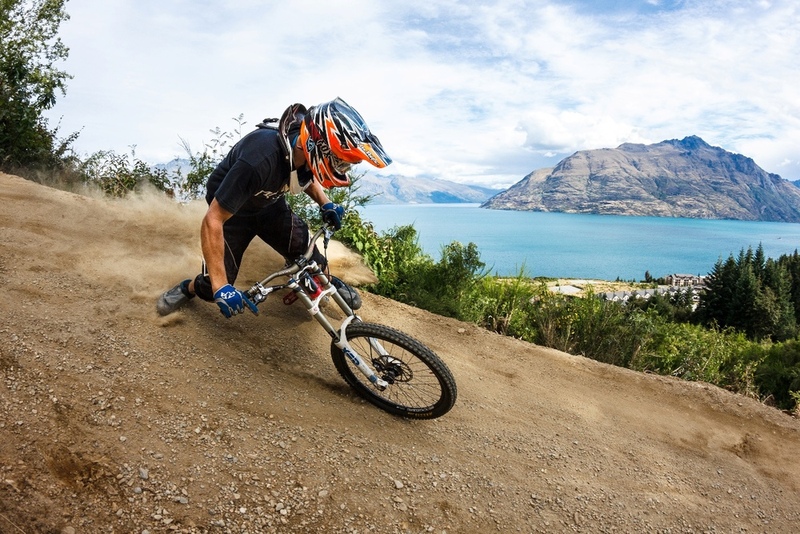 Skyline Queenstown has announced details of a new mountain bike trail as it launches its season pass prices and information for 2013/14. Starting at the midway clearing and gradually flowing through Queenstown bike park, the new $75,000 trail is going to complement the steady gradient of Skyline’s other green trail Hammy’s, providing riders of all abilities with an alternate option to the base of the gondola. Skyline General Manager Lyndon Thomas said he was “delighted” to be able to offer local riders and visitors a new experience. “For many bikers in Queenstown, New Zealand and even Australia, we’re the location of choice, so we’re really pleased we can increase the number and range of trails we offer and provide these riders with more thrills and the same convenience factor of a gondola ride back up the hill,” he said. “Since access to these trails first opened, we’ve seen the continued growth of mountain biking as a sport, creating a significant economic benefit for many businesses throughout the region. Work will commence shortly after the season opens on Thursday 26 September 2013. Skyline Queenstown is home to the Southern Hemisphere’s only gondola-assisted bike lift, providing direct access to 13 world-class mountain biking trails and varying terrain for all abilities in the Queenstown Bike Park. This year, in an initiative to harness the growing interest among youngsters, Skyline Queenstown is offering Season Passes to local Wakatipu High School students at a special rate of $249. The mountain biking season is scheduled to close on Sunday May 4 2014. Prices for an adult half day pass start from $60 and there are full day, multi day, season and half season passes available. Details are available on the website or by calling +64 3 441 0101. Open 10am daily - dusk. Season dates are 28 Sept 2013 - 4 May 2014. *Bike access via Gondola closed from 25 Dec - 8 Jan & 18 April - 21 April. Bike rental & equipment not included.